NDR Symphony Orchestra and Christopher Eschenbach perform Hindemith – where are we now? I feel like Michael Corleone when I listen to Hindemith. Sometimes his almost-constant ending of pieces with a major chord, to me anyway, can ring insincere and betray a lack of commitment to his own materials. His harmonies are often more weird than interesting, and his quartal melodies can just be too much for me sometimes. But then sometimes something just clicks. Kleine Kammermusik– the contrapuntal lines, the weirder cadences and accessible motives. Symphonic Metamorphosis– the orchestral colors, classical themes accompanied by his weirder harmonies… Just when I thought I was out, they pull me back in. The North German Radio Symphony Orchestra’s new Hindemith album under Christopher Eschenbach encompasses this conflict for me. The first piece Symphonic Metamorphosis of Themes by C.M. von Weber, represents the high point of the album for me, and though the placement of this piece first is great to rope in the casual listener, they might feel a little short-changed by the rest of the album. I liked most of the album, but someone unfamiliar with Hindemith expecting a whole album of stuff like Symphonic Metamorphosis might be disappointed. At times I hoped the filigree in the strings would come out better, especially in the fourth movement, and sometimes the mix just got overblown with bombast, but all in all I really liked this version. The Violin Concerto is a step back from what I like, but I could see people getting into it. I can’t help but think about Hindemith’s concept of Gebrauchmusik, music for practical use, when listening to this piece, and wonder if it’s always the best thing: “This is a violin concerto. This is the part that’s really high. This is the part where the soloist plays parallel octaves. This is the stupidly-hard-yet-not-gratifying cadenza.” Still, the piece is admittedly well-constructed, and Midori absolutely SHREDS it to bits. As much as it left me a little cold, I will need to study this piece more. Konzertmusik sits somewhere in the middle of the previous pieces for me. Some really great crunchy harmonies are there, but you lose the orchestral color without a wind section to the orchestra. The themes are a bit simpler than the Violin Concerto, but certainly not as accessible as Symphonic Metamorphosis. This piece straddles my taste for Hindemith- there’s stuff I love, and there’s stuff I just don’t get at all. But that’s great! It’s what art is supposed to do. When I listen to Hindemith I get simultaneously invigorated and frustrated, and he makes me want to write music of my own. So really how bad can it be? 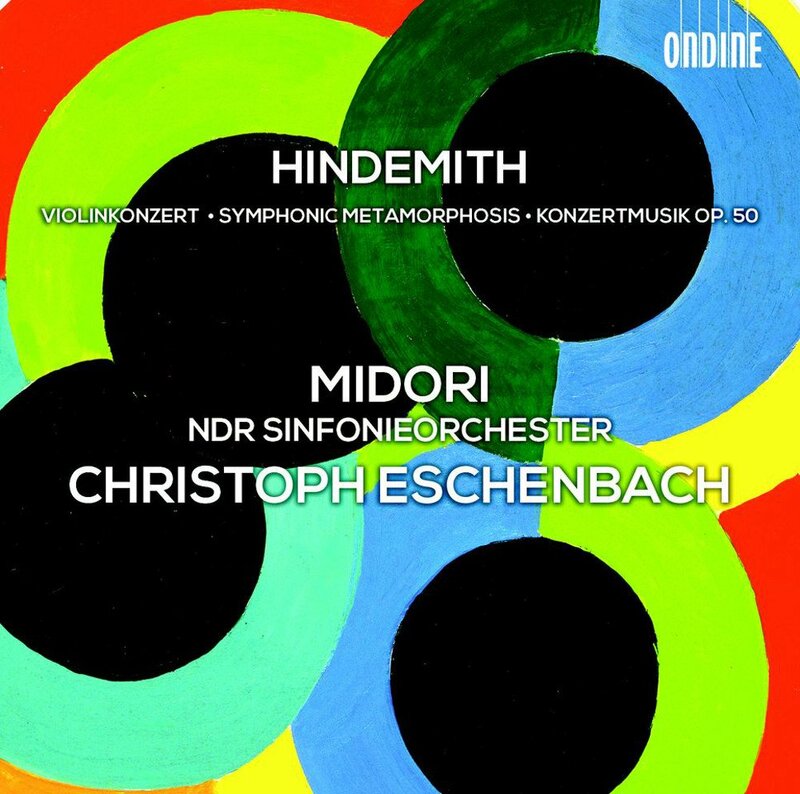 This album is available on Amazon (www.amazon.com/Hindemith-Violinkonzert-Symphonic-Metamorphosis-Konzertmusik/dp/B00DW7OQ6C) and iTunes (itunes.apple.com/us/album/hindemith-violinkonzert-symphonic/id677276317).